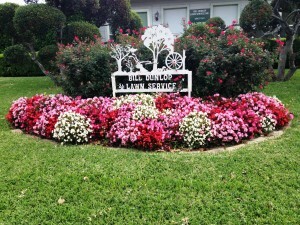 Bill Dunlop Lawn Service was founded in 1947 as a Dallas lawn maintenance company. Greg Guzman, Owner and General Manager has been in the landscaping business since 1984. The experience he brings to the table provides customers with the finest property landscape look, which causes Bill Dunlop Lawn Service clients to easily be proud of their investment.